You know what happens when all your dishes and kitchen gadgetry are packed for a full month? You eat scads of fast food. If I never see another burger again in my life... 'twill be too soon. The waistline? It will also expand aggressively. The whole thing left me craving home cooked meals again. (wince) I was hesitant because, well... I am the worst cook of all time. Why can't dinner just appear out of thin air? 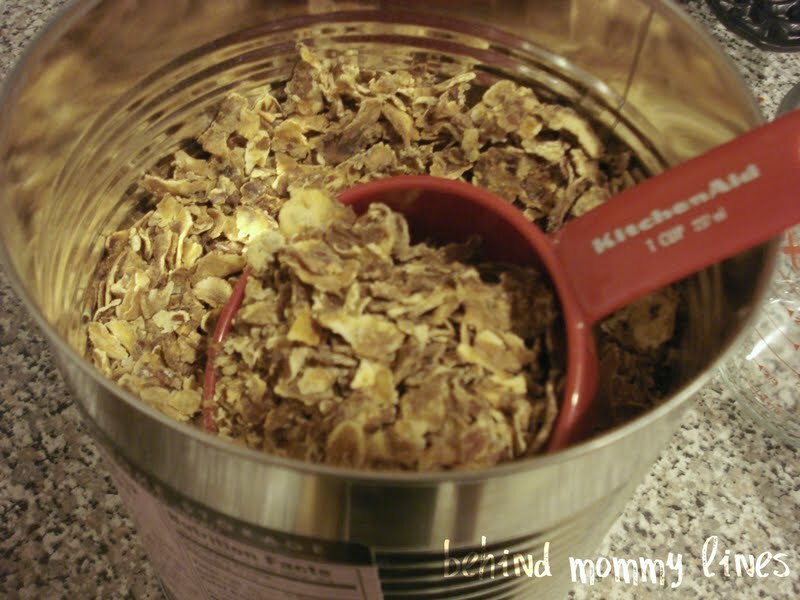 Meal planning is like running your face through a meat grinder. Yeah, it went that well. I don't know how other families do this! Day in! Day out! Anyway, it was painful. I raked together three recipes in which I only needed to buy a few extra ingredients and was off to the market- but not before stopping by the old house to cram my car full of yet more junk we left in the garage. Under a bunch of what I deemed rubble, I found six cans of dry goods. The entirety of our family's food storage- six cans to keep from dying of starvation in the event of a major natural distaster. Yep. I noticed some of the expiration dates on these glorified army rations were approaching at a quick clip. IT WAS TIME. Time to "rotate" our food storage. 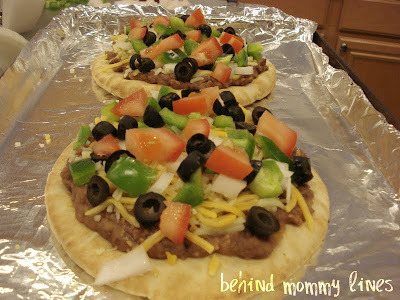 Since Pita Tostadas made it on the list of three dinners for seven days, I decided to forgo the canned Rosarita for the large tin labeled REFRIED BEANS. The prep was relatively easy, scooper the stuff into a pot of boiling water and let it sit there for ten minutes. I don't know what I was expecting from freeze dried food- I guess I remember my Mom rehydrating peas when I was a kid, and it took for...evah. I also caught some of the instructions on the label: Store at 75 degrees or less. Hrm. Fail. They've been sitting in the garage now for a couple months. And our storage closet didn't have an a/c vent either. Should have read the packaging. What a nerlman! There were a couple moments when I thought to myself- gee, I have to have boiling water, ten minutes, and a heat source? With Rosarita, all I need is a can opener- then bam! nachos! 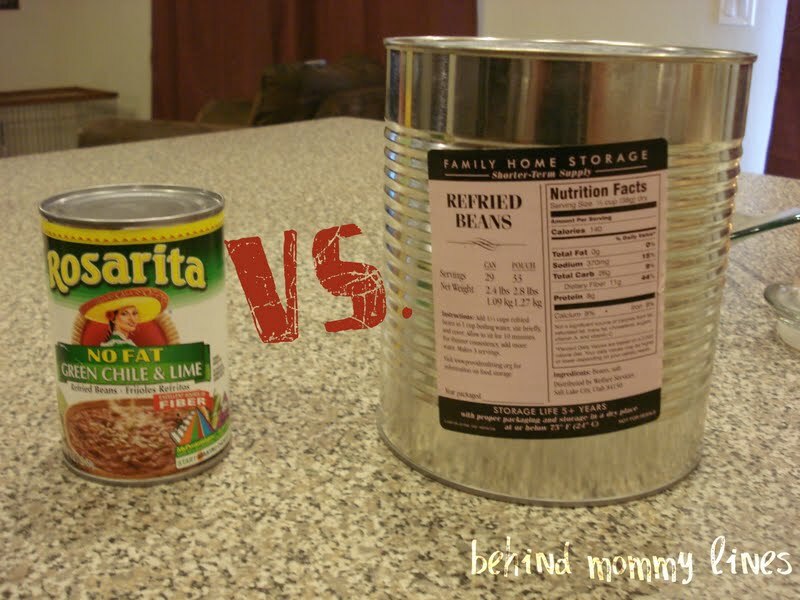 Will the refried bean tins save us in the event of the apocalypse? Prolly not. Looked good. Smelled awful. Tasted worse. Sticking with storebought refried beans. But will now start buying them in bulk... you know, for the apocalypse. The picture looks pretty, but ewwww! Beans should look like beans, not potato flakes. If y'all eat Mexican-type food a lot, try this: Put some chicken breasts in a crockpot with a package of taco seasoning and a can of Rotel tomatoes. Cook a few hours, then shred it with kitchen scissors. I make a batch every other week to eat on nachos, chicken tacos, etc. So sorry the beans ruined such a lovely meal! I have bad luck with those too.